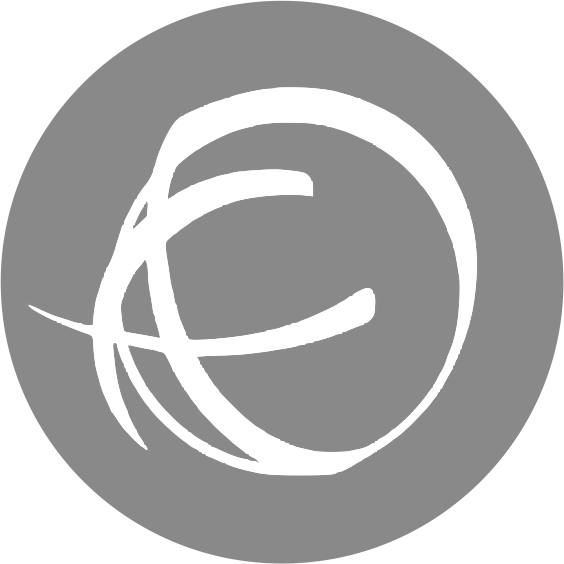 It's a good day today because I have something fun to share with you. I had the opportunity to go and visit the wonderful Black Sheep Wools recently, you might remember that I spoke about it in this post, and at the same time I got to meet some of the really lovely ladies who work there. I came away with some of this rather lovely, Rico Creative Twist Super Chunky yarn to work with and the opportunity to dream up a new free pattern. Pretty exciting. It was a lovely, smooshy yarn to work with, so soft and fluffy. 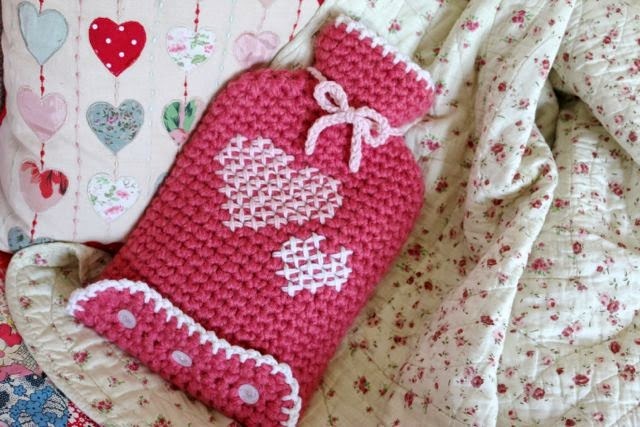 Just perfect for the hot water bottle cover that we had in mind. I don't know about you but I absolutely love to snuggle up in bed with all my warm blankets and a nice toasty hottie in there with me! 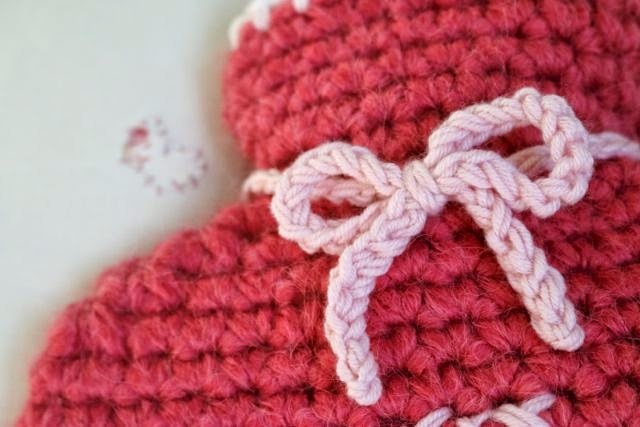 I had fun coming up with this one because the chunky yarn works up quite nice and quickly and so once I had the right shape all sorted I could concentrate on those pretty little finishing touches that are the fun part. I added a bottom flap so that you can get nice easy access to the bottle if you need to with cute buttons and a lacy trim. It also has a matching trim at the top opening to tie it together, and I added bow around the neck because I thought it needed just that little something else. But my favourite part are the hearts that I stitched on afterwards. I do love a heart at the best of times, but with February just around the corner, it seemed to be the perfect addition. I also love the look of cross stitch on crochet, so that pleased me too. 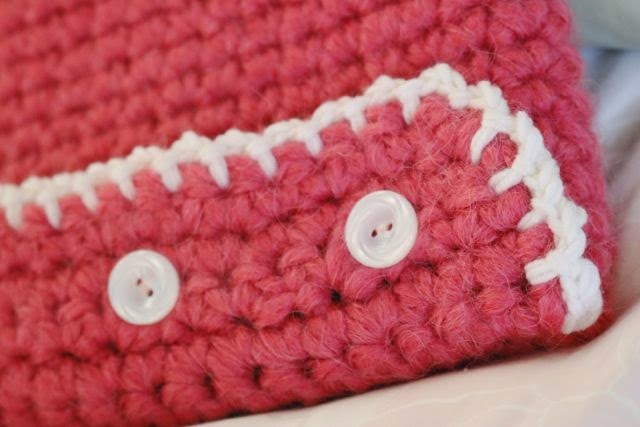 It's very easy to do and I've added instructions and pictures into the pattern to help you if you've never done it before. You can also watch this video of me chatting about the hottie cover and demonstrating the cross stitch technique. For all other details, please see the pattern. I hope you enjoy snuggling up with your hottie! That is adorable! I just had my Hottie out today. I loved making it. So fun!! Black Sheep Wools is really good, isn't it? I went there with the Princess, but I want to go back someday alone and with plenty of birthday money. Fortunately it's little more than 30 minutes away from where I live! 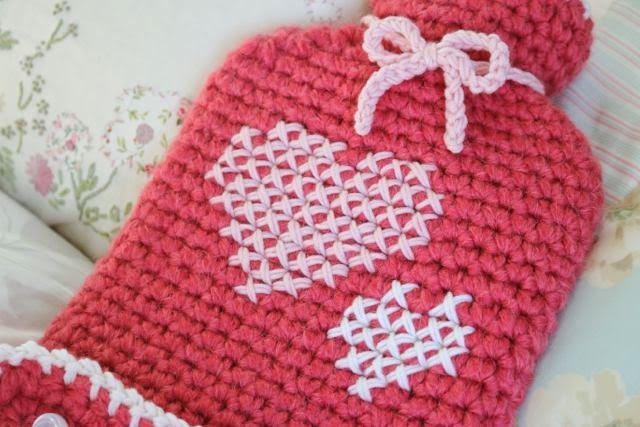 Ah such a great idea for a gift this Valentines! 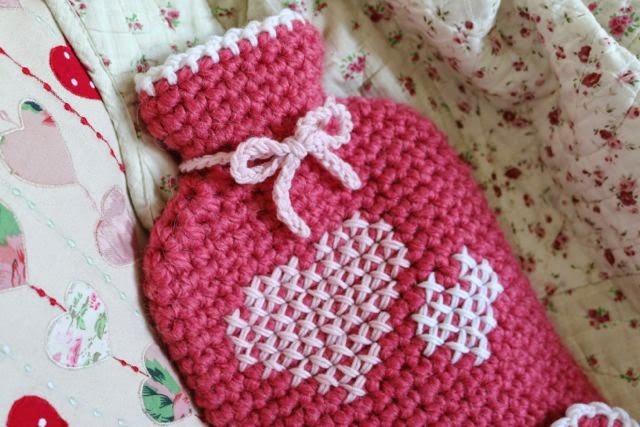 Such a brilliant idea to crochet a hot water bottle cover. Since we'll still be using ours way into April I think I might need to get my hook out and start making this. Thanks for the pattern!